The Community Leader Programme was a three year partnership between the Royal Exchange Theatre and the Booth Centre: a service offering advice and activities for homeless people in Manchester. From 2011 – 2014, the partnership used theatre processes and practice as creative tools to develop the social and personal skills of adults who have experienced homelessness. The overall aim of the partnership was to contribute to participants’ ability to resettle, find stability and address ongoing health and substance misuse issues.  In April 2014, the Royal Exchange Theatre and the Booth Centre delivered Backstage? Me?, a one day national event looking at homelessness and theatre. This event offered an opportunity for debate, discussion and intelligence sharing with other homeless charities, arts organisations, practitioners and social change professionals, exploring the rich variety of conversations, progressions and reflections taking place with people living in poverty. PLEASE USE THE SITE MAP OR THE LINKS ON THE LEFT HAND MENU TO NAVIGATE AROUND THE RESOURCE.